We are pioneering cost-saving interventions in general practice with the deployment of cloud-hosted telephone systems that can cope with the push for enhanced patient access. This does not mean GP surgeries need to incur capital expenditure but there is a high probability practice running costs will be reduced due to free calls, cheaper line rentals and inclusive ongoing support and software updates that existing or replacement traditional telephone systems simply do not offer. More than 90% of GP surgeries who have switched to a cloud-hosted telephone system, have reduced expenditure and improved patient access. For a no-hassle, straight-talking view, contact swcomms free on 0800 054 6789 or email us and we will call you back to discuss the benefits of general practice telephony. We have recently switched to SW Comms from a very old and outdated phone system. The switching process was smooth with little disruption to our systems. The engineer and trainer were extremely helpful and nothing was too much trouble. We have only been live with the new system for a week now but already we can see big improvements. Very happy with service and system works exactly as we were promised, aftercare service really good and staff very helpful. Slight lack of communication and clarity over billing issues which has been fed back. we had used SWcomms at our branch surgery for a few years and were really pleased when merging with another practice we found that we were able to use their cloud system to merge the branch and main surgeries. As a practice we have been using SW Comms for the last 8 years, as a practice manager I have been using them for the last 15+. In all that time I have found their service to be outstanding. Nothing is too much trouble for them. They installed the Horizon hosted system for us 2 years ago in our main and branch surgeries and we haven't looked back. I would definitely recommend them to my fellow Practice Managers. We have dealt with South West Comms for nearly 20 years and the staff are fantastic! We have recently changed to the new system and the whole transfer was seamless. The after-sales service is excellent and I would wholeheartedly recommend the company and the product. Recently moved to a Cloud based system, Stacey was our project manager, she was very good and efficient and guided us through the process. Transfer went well, a couple of small issues but these where rectified very quickly. They provided staff training and our trainer was very patient and didn't mind going over the same thing two or three times. If we have had any problems, the after care service has been very good in dealing with our issue. We moved over to the Cloud Hosted system after having a very old system. From start to finish the whole process was managed professionally. The installation engineers, trainer and project manager were all excellent. I cannot fault the service at all and the new system is far superior to what we have had. Even the patients have commented with good feed back. Thank you to everyone who was involved - I would highly recommend the system to others needing to upgrade. Literally cannot fault the staff and company from start to finish. They were able to match our needs with no problem at all. Incredibly helpful, informative and cost efficient. Thanks swcomms, top work! We have recently moved over to the new Cloud-hosted telephone system. The transition went extremely well with the support of Chris the engineer who was calm and extremely knowledgeable, Stacey the Projection Manager always responded immediately to any queries and Kay the trainer who pitched her training to all the different staff perfectly. I would like to say a big thank you as some staff were very concerned with change but they have all embraced the new system because of the support given by the team from South West Comms. Our expanding practice area and additional sites gave cause to review our telephone system, which was originally supplied by South West Comms, with a view to moving to a cloud hosted system. We were provided with very competitive pricing, extensive training and support package by South West Comms and therefore remained with the team. Can't rate them highly enough from project management, installation, training and aftercare, tailoring the system to our requirements. Recently switched to their cloud based system from an ancient system (also with SWComms). Installation was excellent, totally understood how it worked in GP surgeries and were more than happy to work around clinics and patients. Transfer and number porting happened quickly with only a tiny disruption. Whole team were excellent and friendly, after care so far as been great. Would definitely recommend. SWCOMMS have been the most customer orientated telecoms company I have ever had the pleasure of working with. They have a state of the art demo room at their head office in Exeter, filled with the latest technology ranging from Cisco Meraki to the new Gamma Horizon system. The reason we use SWCOMMS is firstly the reasonable price they offer but also their outstanding flexibility to tailor a package to suit our needs. The team are always helpful and quick with their responses. 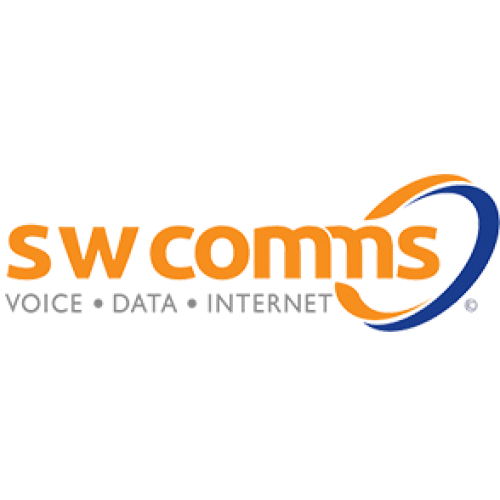 Changing from our old telecoms provider to swcomms was easy, the transfer was well managed by swcomms, training provided matched our needs and despite having a better system we saved a lot of money. When our provided telecoms contract ended, we had the opportunity to look around at suppliers to compare them, even though one was favoured by our CCG. SW Comms was able to better them for capability and price. We had a few hiccups on the way, but nearly 4 months in and feedback from staff and patients has been very good - we're delighted!! We have moved our telephony to a hosted solution. It has cost no more than the existing system it replaced. Moreover it has ensured we have a robust business continuity plan for telephony. We have recently updated our phone system to South West Comms and have found them exceptional in all areas, from coming down and installing, through to training and to aftercare. They are easy to speak with if we have any problems and help us to resolve any issues. Excellent service installing our new cloud telephony solution. Very helpful engineers and trainers who came to the practice. They answered all our queries in a cheerful manner with straightforward language we could understand. I would highly recommend them. We have been with South West Comms for about 16 years and recently decided to update our Alcatel telephone system to a new Polycom. South West Comms carried out the whole changeover seamlessly, The new system training was excellent and the SWComms installers were great. I would recommend using SWComms for your new telephone system. Really excellent service. The support is first rate. On the rare occasions when we have needed help due to a system issue I have emailed, been contacted and had a engineer visit arranged all in the space of a morning! The engineers and helpline are experts and approachable and I have always been very impressed by the whole company. SW Comms were chosen from a number of contractors to undertake a large installation for us covering surgeries providing for nearly 30k patients, and with branches spread over approx 8 miles. They were chosen due to the future-proofing that they could offer, vfm and reputation, as well as other factors. It was a complex installation for many reasons, but I was helped by a great Project Manager at SW Comms throughout who was accessible and sensible. Occasionally even funny, but probably not that funny tbh!! The installation itself was very well managed and we received excellent training and ongoing customer service is also excellent. I definitely recommend SW Comms.